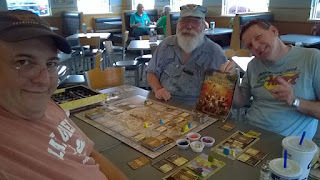 Once in a while, it is fun to take a game that has been expanded, and to which you like and use the expansions, and give just the base game a play or two. 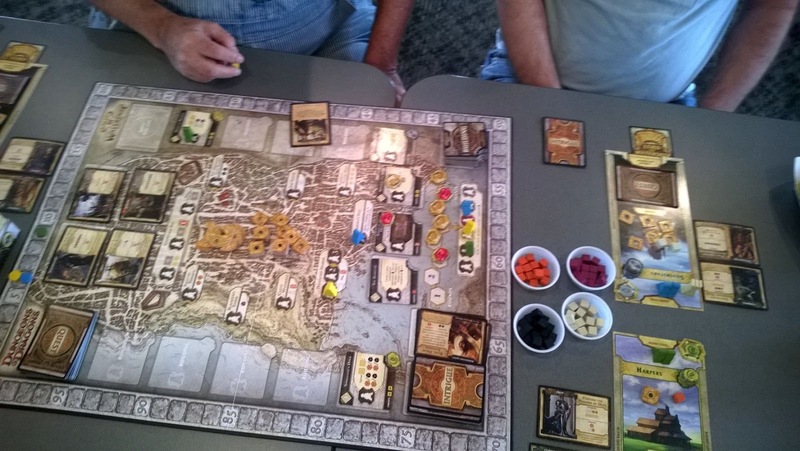 That's just what we did last week when teaching Norm the joys of Lords of Waterdeep (2012). 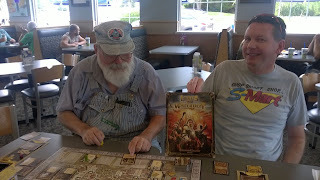 He's an avid D&D player who loves the Forgotten Realms, as well as a regular board gamer, so it was both a surprise that he hasn't played before and not surprising that he liked it. Norm definitely played well with Tom and I scores were typical of veteran players in our second time through. I think the first time through was less about completing quests and more about trying all the options. 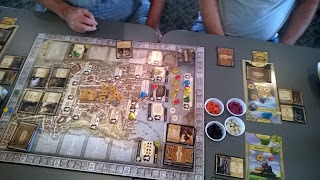 Still, even I was impressed just how fun this game remains in its base form with three players. 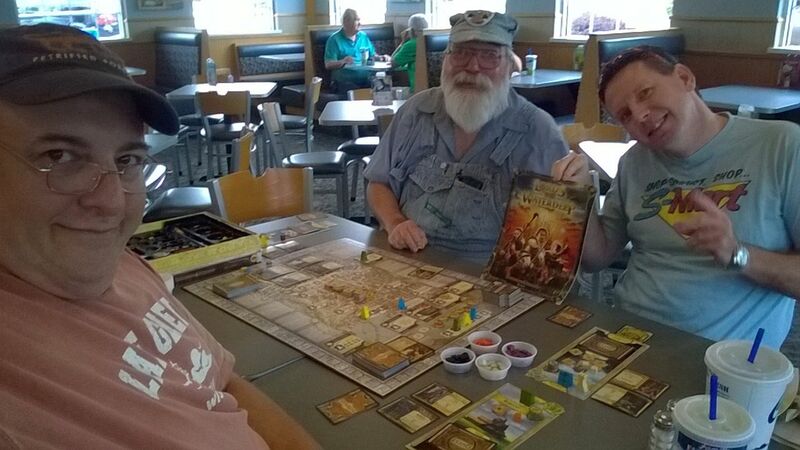 I think with four players, definitely with five, the expansion would keep the game from feeling too crowded. I do want to try it with five as a base game again, though, since it must play well enough for us to have enjoyed it that way pre-expansion and I don't recall having any complaints then.